I had previously purchased a replacement tube as a backup for my fairy light system and needed a battery. 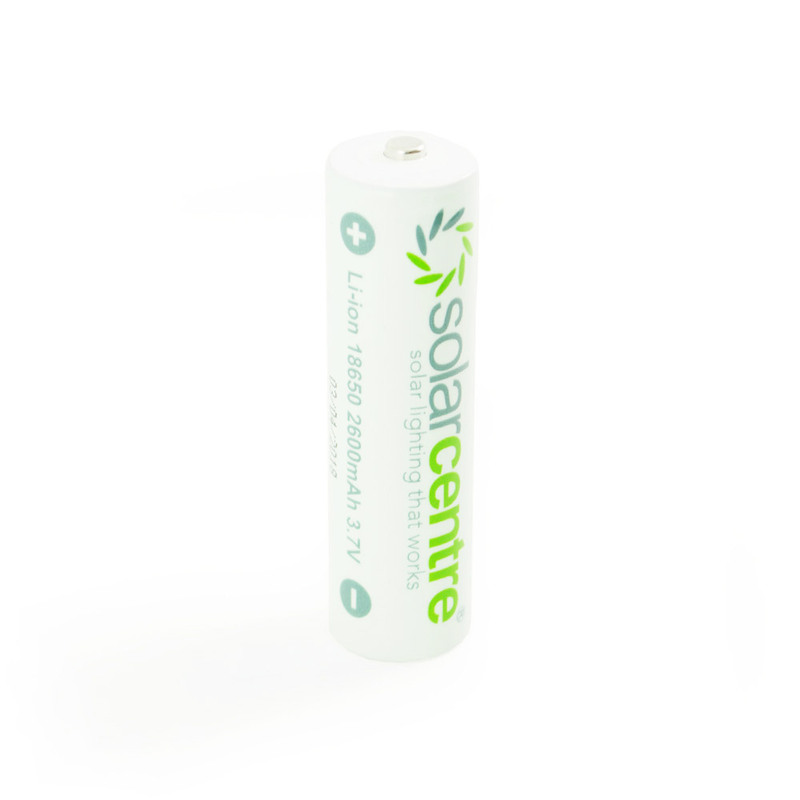 The battery was delivered as promised and has proved to be a very reliable and strong performer. Great service, battery charged in a few hours, and till now I am very satisfied...I will use solarcenter again. I've had my fairy lights for quite a while and they still worked every night but not for so long. I bought a new rechargeable battery and they are great again. I love these lights I have 2 sets. High quality protected 18650 3.7v 2600mAh battery. Are the the large size batteries? Do you sell the charger? No, these batteries are compatible with any of our lights that accept cradled 18650 batteries, such as the Lumify fairy lights. Are these battery,s good for vidio doorbell. Sorry, you'd need to check with vidio as it's not one of our products.